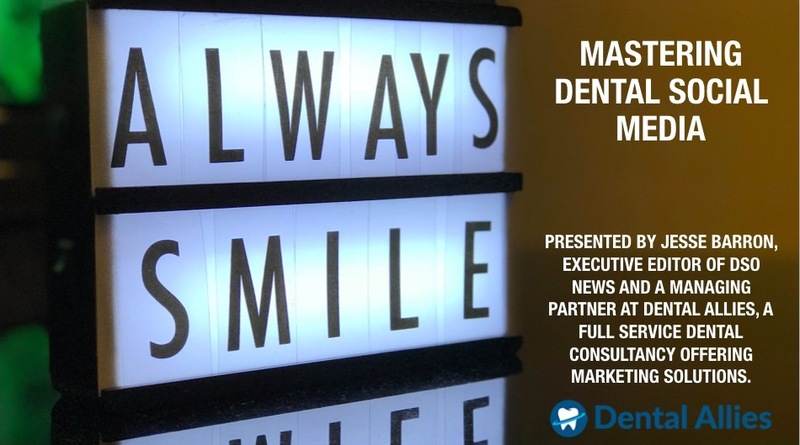 In this webinar held on November 28, 2018, Jesse Barron, Executive Editor of DSO News and a Managing Partner at Dental Allies, Inc. shared with attendees tips and tricks for getting the most out of social media for a dental office. Questions for the host? Email Jesse or give him a call at (727) 608-4910. Good morning, everyone. And good afternoon to those of us west of the Mississippi. One quick bit of housekeeping. Let me know if you can hear me, okay? Perfect. Thank you so much. My name is Jesse Barron. I’m the Executive Editor of DSO News. I’m also a Managing Partner at Dental Allies. We are a full service consulting firm offering marketing solutions, technology solutions, everything. Kind of a wrap around for the independent dental practice services that you may need. 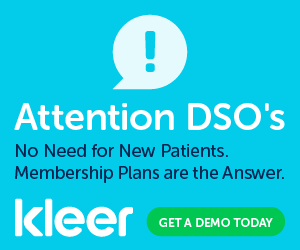 This would not be possible without DSO News, which again, I’m the Executive Editor and it’s the largest online news source for group practices, DSOs and solo practices dentists. If you’re interested in subscribing, you may do so at the DSOnews.com. In today’s webinar, we’re going to cover best practices for social media for the dentist. We’re also going to review the channels that you want to be on and how the best use them. We’re going to talk about setting up optimizing a Facebook page for your practice and also show you the sneaky and very ethical way to gain relevant and local followers on Twitter and Instagram. At the end, I will share with you the slide deck, which will actually come tomorrow via email with the direct download link, because the file size was too large for the webinar software. I’m going to give you a rundown of the optimal graphic sizes for Facebook and Twitter, which are very important because people view their social media on different apps and screen sizes and you want to make sure that your image is visible to all, especially if it has text. I’m also going to give you our Dental Allies “Social Media Tips for Dentists” report and an example of a HIPAA photo release. The HIPAA photo release is important because on social media you want to share good before and after stories with photos, photos always received more engagement. However, you should have a special type of release from the patient that fully discloses that it will be used for those purposes. First, let’s go over best practices. The very first thing you want to do is establish brand guidelines. You want to be consistent across all of your social media channels. Consistency creates branding. The best thing to do is to create a Google Drive, a Dropbox or Box account or use a similar service and give permission to the appropriate employees to access marketing collateral, such as those before and after photos. Any funny pictures that you may have come across that you want to post some day, all those good things. You can also store it to compose future posts that you do not want to post right away. But there are tools that I’m going to show you later that will allow you to do that directly. I also would include logo’s, staff photos, treatment photos and anything else that can assist in marketing to your community. Well, go back one second. Another important thing is to know thy self is this is overlooked so many times you need to understand your own practice; its strengths and weaknesses and where you wish to be in the market. Being honest with yourself about what you’re good at is important. If social media isn’t your thing, give it to someone that is good at it, whether it’s someone in your office or you outsource it. You have to really be into social media to make social media work for you. Next you want to create a system, you want to create a system that generating new posts is consistent. As an example. Most big brands on Instagram use a single filter on all of their posts. This may be the same filters used by millions of other people, but by sticking to one filter on your post, it helps to brand you. Everything looks nice and uniform. When it shows up in their feed, they’re much more likely to recognize its from you without even having to look for the fact that is from you. Facebook is considered home base. For most people, showing up in their feed is the same as being invited to dinner. You should respect this channel like you respect other people’s homes. Be kind, courteous, polite as you always should be since your business. But especially so on facebook. Be more conscious of what you’re posting. Something that is funny may fall flat on Facebook but do amazingly well on Twitter. And that goes back to the different types of ways that people use these platforms, even the people that use all three. For some reason, when they click the Twitter icon, they suddenly start acting differently than they do when they hit the Facebook icon. Instagram is for peeking into the carefully curated live of others. This is where people like to show off. If you notice, a lot of Instagram is aspirational, people will only take their best photos and published them there. Anything that’s not like that usually is reserved for Facebook or Twitter. You want to be on your authentic self on Instagram, even though you are a business treated as if you are a person. Post pics of the doctor working on a patient, or that smiling front desk person. People are really engaging with stories, so even though you’re not creating a permanent record of your post, you’re still getting the engagement that you desire. Twitter is considered a rapidly moving information stream. Its audience is mostly younger urban and semi urban. Twitter is where many people get their news. It’s where I get most of mine. It’s a great platform for education. It’s a great platform for inspiring people. It’s a great platform for just communicating with people and engaging with them in general. You just always have to be cautious of HIPAA and never reveal PHI as I mentioned earlier, major brands typically use a single filter on instagram. This creates a unique look. Even if millions of others use the same filter. All of your visual campaigns need to be consistent. The quality must remain the same throughout. A visual campaign will almost always outperform a text one. This cannot be emphasized enough. Graphics work. Pictures work. They stop people in their tracks and they look at what’s there. The more visual content you develop as a practice, the better off you are. It doesn’t matter how many times you post something you compose something in the same treatment photos once a month, and you’re probably going to reach a different audience than you did the first time it was posted. There may be some overlap, but a lot of the algorithms are based on the freshness of the content as to when it’s shown to people. So oh, that’s someone who’s like me that gets on facebook maybe five minutes a week on my personal Facebook. It’s a great chance to see content that I probably wouldn’t have previously seen. You also have to be careful of age. Five year olds have cell phones. You never know who’s viewing your content, so it should always be appropriate for all ages. Now, you’re still allowed to be funny. There’s just a line, and when I say consider age, it really comes to the humor and just make sure it’s age appropriate. Or at least like it’s a Disney movie, where it has the joke for the adults, and the kid has no clue what’s going on. Do not do not do not, do not do not employ marketing gimmicks. Everyone can see them from a mile away. Avoid them at all costs. As for videos, use an iPhone or the latest android. Just shoot a video, edit it down if you can. Again. There are apps for that one. Go on the computer and think about what your audience wants to see. If you’re in a sedation industry, maybe show them what sedation looks like. Show them how the patient is out cold, depending on the level of sedation that you give them. That will put people’s minds at ease if they’re scared of the dentist, and they’re not really sure what sedation therapy is, the video shows that better than anything. If you have website tracking enabled, check out what people are searching for to get to your site or where they go on it and build content around the most popular themes. So if whitening is a popular page on your website, amp up the whitening offers and the whitening before and after treatment photos. If implants or do the same thing with implants, it’s important to note that since i’m on the business side of industry, sometimes on LinkedIn or some Facebook groups, I’ll come across some treatment photos that quite frankly, startle me. Avoid using these photos. Not everyone may want to see it. You do not want to show the actual implant case. The after instead. Just be mindful of that. Blood never goes well on social media. You really need to understand each channel. Like I said before, people use different social media channels in different ways and it is important to understand each of them that you’re present on many of them. Maybe it’s the morning huddle where everyone just starts cracking up at the joke the doctor made, you know, and someone caught it on their on their phone. Never, ever, ever talk negatively about anybody. This includes your competitors. As a matter of fact, be kind about your competitors. You know, you could say Dr. Smith is great, however, I have thirty years of experience implantology. There are ways to make yourself look bigger and better without belittling someone else. It’s important to tell a story. Always be truthful. Don’t make anything up. There’s enough interesting things that happen in life that you shouldn’t have to make up stories. Recent viral video of that one dentist dancing in the doorway is a great example. I feel like we have all seen it at this point. That is just a perfect example of some crazy thing that happened in an office and someone got it on video, uploaded it and it went viral. And i think that guy probably has about seven hundred marriage proposals. Make social media your front line. Social media channels are your connections to digital communities, and you have to think of it that way because we have our real life communities and then we have our digital communities and they don’t always always cross. Some people have a completely separate digital identity then they do a real life. Get to know those in your market through comprehensive observation. Doing this will help you identify opportunities to engage and enchant. These people can end up being your biggest advocates and informants Listen on social media and convert by responding to questions, requests and concerns. Someone earlier asked what is a filter on Instagram of is. A filter is when you choose your photo on Instagram and you hit next. There are a dozen or so … they keep adding them. There are a dozen or so filters that you could apply that create different looks like a faded look, black and white, a vibrant look, all kinds of different things. So that’s filters are, just keep them consistent. Now, let’s talk about humor. Humor always goes over well on social media. Here are some tweets from random people, but they could be used by you just as easily. The dentist says. I’m going to take your tooth out, patient says. Okay, then, later that evening, the dentist says, well, this is nice. 2408 likes. And at the toothpaste laboratory there, making fun of the four out of five dentists. Dentists recommend it because you have the one four saying yes and he fifth one saying, not so fast. I always wondered about that. That is good. He just doesn’t like toothpaste. Ah, my life would have been very different had I done anything with the same intensity as brushing my teeth on the day of a dentist appointment. Who isn’t guilty of that? And dentist, how often do you brush your teeth? Me twice a day, dentist and floss twice a day. I stand by what i said. The worst thing about being a dentist is they put that paper bib on you and they never bring you lobster. That one didn’t get us much engagement, but I actually liked it more than the other one. My dentist told me I need a crown. I was like, I know, right ? My dentist said that four out of five dentists are effing idiots. Then he flossed my teeth with a shoe lace. Okay, open up. Well, i guess it all started when my dad left. No, i mean, wait, Bill, let me finish. We’re going to go over to essential Facebook at right now advertising on Facebook and having a Facebook Page kind of go hand in hand. It’s actually really cheap to advertise on Facebook, if you know how to do it correctly. Facebook is for keeping people connected to others. What better place than facebook to show off your awesome team? And like this post says, we’re excited to introduce Dr. Bowen has joined our joined our team in the fall of 2013 part0time and is now joining us full-time starting in July. We’re excited to bring her passion and dentistry for her experience. And then you could read more. Actually here I would expand more on what Dr. Bowen’s interests are, and maybe they did and try to make her more human, but it is a good example. Show off your office culture. Be fun and entertaining on Facebook by having some fun. Have your team dig out those old embarrassing pics of themselves and post them. This particular one is it’s throwback Thursday. Who could spot Dr. Rads in this old University of North Carolina Dental School pic. Because if Dr. Rads is sixty-five now, I think patients would enjoy seeing Dr. Rads when he was younger, and I’d be curious if they could pick him out. Promote community involvement. You work hard for your community so show off your work. Let followers know what you’re doing in their neighborhood. If you don’t already have a community involvement plan in place, you should really have one. Whether it’s sponsoring the little league team and buying their t-shirts, putting a sign up at the high school football field, you just want to be engaged with your community. And in a way that doesn’t just make it seem like it’s marketing and you want it to be authentic. People know that. Yes, you’re advertising on the fence of the high school football field, but the same time the school made money from it. So they view that as a good deed. When you do good deeds, share them wide and let people know that not only are you serving their community, you’re also serving their community in other ways as well. I can’t emphasize enough how you know a picture tells a thousand works. You want to go ahead and let people know the work that you do. She show your work? This particular post from Thyssen’s Dentistry says she has crooked teeth. And then they use some hashtags, which we will get into later. There’s actually a whole science behind hashtags who knew? You also want to celebrate. You want to thank all the hard working mom’s and dad’s out there. You want to wish everyone a Happy New Year. Be sure to celebrate whenever you can. I know we keep adding more holidays, so you might want to pick and choose them, but all the big ones, definitely cover Memorial Day, Veterans Day. Ah, Easter. If you’re going to get into the religious holidays, I would go ahead and try to be inclusive of all of them. That goes a long way. So you know, when it’s Hanukkah, mention it. Happy Hanukkah, when it’s Kwanza mansion Kwanza when it’s Christmas, mention Christmas. Just remember that your audience is diverse and your posts should be, too, including anything that you’re celebrating. And like i said, never be afraid of before and after. This is ah! Support your patients with their permission. Recognized the hard work of your patients on your Facebook Page. I think of this like the old Pizza Hut in the eighties and might still do it, but i think it was called the Book it Club, where if you got certain grades, you get a free personal pan pizza. It was recognizing good students that way. Recognize your patients in the same way if they achieved something, but only talk about it with their permission. Of course, you do want to share promotions. Don’t be afraid to post a promotion every few days to a week, because again, it probably won’t be seen by everybody, and each one will be seen by different people. If you have a promotion, you may want to boost the post, which gets into Facebook advertising, which i’ll explain later, but boosting the posts that shows it to people that won’t normally see it there. Not that they liked your page, but they fit the demographics that you choose. Maybe the zip codes that you put in. Jeez, Facebook allows so many different characteristics that you can choose from you, like age. You know you could advertise dentures to sixty plus all kinds of things you can do with Facebook. And there’s one thing more important than any other. Stay HIPAA compliant. Yes I am going to go over this again. I can’t emphasize enough that social media is not secure. Even a direct message sent to a follower containing PHI will trigger a HIPAA violation. Never real PHI on social media, even if you are conversing in private because you don’t know that the service that you’re using is HIPAA compliant and I don’t know of a social network that is. Each social media channel allows for various amounts of customization. Facebook and Twitter both allow a cover photo. It’s also called a header, as well as a profile photo. Instagram only allows a profile pic. A lot of times, people go with either the dentist or the logo for the practice, depending on which is more well known. If you want to do something that works across Facebook, Twitter and Instagram, 1200 by 628 pixels is the best size to go with. And again, you will get this slide deck tomorrow by email so you have all of this information. All right, let’s set up a Facebook Page from scratch really quick. Oh, i can. All right, so you’re at the create page, create a page section. As you can tell by my notifications. Like i said, I don’t get on my personal Facebook too much. You can get to this when you first log in to Facebook on the bottom left column where all of your links are there it is at the very very bottom. There is a link for creating a page which will bring you here. In this case, you are creating a business or a brand. We’ll call it Dr. Test Dentistry. And category is very important because it will help people locate you. We’re going to say he’s a general dentist. You can have the option to not show your address. Okay? And it knows that I am lying about my number. Okay, so then the first thing you want to do is upload you your profile photo, which is what goes in this space here. It’s just let’s just go with that. Then you have to upload a cover photo. With. Let’s go with. Okay. Let’s not go with that. See what i mean about slides ? So my friend Dan. Okay, okay, let’s just skip that. Anyway to put the picture on the left for some reason, it did the opposite of what i wanted it to do. Just go with that. That’s a good one. Okay. You want to create a button for sure. You can either have them book with you, contact you, learn more about your business, shop with you, make a donation or download an app or play your game. I always personally go with contact us. And send people to a link. And then finish. So what that does is that will take them to your website directly, and it will allow them to review everything on your website. Well, because all of your contact information will be there, especially if you allow it. Online booking. That will be great as well. You asked if he has a website? He does. And then go ask for hours. He’s only open Monday and Thursday. He’s cruising into retirement, so, you know, he works two days a week. He likes to sneak out early on Thursdays. Always leave Facebook messaging on. Let people contact you through Facebook Messenger. Be conscious of HIPAA. And there is the option about tickets, if there are any and all of that, and then you can also put an offer. Why are spend x, get y off? You can also add a photo. And then this will appear on your Facebook Page and you can boost the post. If you’d like, description would go up there, which I didn’t fill out. And then, of course, there are jobs. So you want to go ahead and hire locally. You can go ahead and put a job on Facebook and ask people to share it. That’s another thing on Facebook or really any social media platform. If you ask people to share it, just ask them to share it. A lot of people will. So here is the first post, which was just the profile. This is where you can add photos and videos. You can create a slide show. You can create an instant experience by including images and video. So great example would be maybe the patient video of the patient receiving treatment and then the after photo or video before and then after photo. You can upload videos and all that people can check in. You can support nonprofits. You can have milestones. You could get messages. You can start a question answer session, which is great because people have a lot of questions about the industry. You can share your feelings, write a note, tag your products, advertise your business, add directions, get calls. They have really boosted their page one facebook and all that. So that is pretty much to run down for that. And by the way, ratings over here is where people will be able to rate you on Facebook. Yeah, and services, will let you add a service where you can even put the appointment duration. And then reviews of which there are none, yet we’ll be here. Starting out, so i recommend starting with ten posts. Just write ten post one day, one so that people don’t come to an empty page. Then boost these posts to your community to gain new likes and the show of amore feeds. Just set your budget at dollar per day and you will still obtain new followers. So the dollar day, thirty bucks a month and you can get new followers to your Facebook that are local and targeted. Exactly how you want. And then there are social media tools. There are two that I personally recommend for managing your social media media management is Sendible. 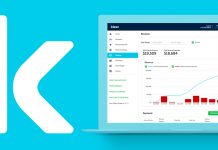 That is a tool for managing all of your social media accounts from a single dashboard. Plans range from $29 to $299 per month. If you think that’s a big swing, wait for the next one. CoShedule. This is a comprehensive social media management tool. It is great for teams and business. Plans range from $60 to $1,200 per month. $1,200 per month is more for agencies like us. We manage multiple clients’ social media accounts. And now here’s the ethical way to get followers that i mentioned in the beginning. Tweepi … they utilize artificial intelligence to gain new Twitter followers. They have great location features for honing in on your local market, and it’s only $10.75 to $24.99 per month. A free photo resource is pexels.com. You’ll find more general photos. They’re like, if you’re looking for something extremely specific, you’re probably not going to find it. Which takes us to the premium stock images that you pay for. I recommend well that i recommend Big Stock because that’s where you get the most bang for your buck own cost for image depending on how many images you are using if you are a lighter user than ShutterStock is a great source for the premium into images. That’s where you will find exactly what you need. Like the other day, I needed a picture of a senior dentist. I tried searching for “senior dentists.” That didn’t work so I typed in “old dentists” and magically, I found results. Um, but i found the exact picture that i needed. So let’s go ahead and i’ve covered a lot of territory. Let’s go ahead and open it up to questions. Does anybody have any questions ? You can use the chat feature. By the way, i will see that. Okay, how many times should you post per day? That is a tricky one because it comes down to engagement. You don’t want to overload and have a bunch of posts that have no engagements. Whereas if you post something every day and it gets a lot of likes, that’s great post every day. I would post no less than twice a week. Ideally, i would post three to four times a week. But if you could get away with it, post daily and then time of day is very important as well. And certain social media tools will identify the times of day that you get the most to gain engagement and allow you to go ahead and schedule, um, your posts to automatically published then, which is a great feature, because again, it’s all about the algorithms. And how likely is you’re content to be seen? I know that for one, the channels that i published for 11:35 AM. Seems to be the sweet spot eastern time. Like that exact moment. Eleven. Thirty five. I don’t know what people were doing at that moment, but for some reason it works. We got a question. When people want to follow you on instagram and you don’t know them, should you follow them back? You don’t want to be someone that follows a ton of people in hopes of getting follows back. Okay. And the reason why I say that is because we’ve all seen those. I don’t know if we’re roasting them, but i’ve certainly seen many, many Twitter accounts that follow five hundred thousand people and have 500,000 followers. That just makes it look like a follow farm. And I don’t really pay much attention to those people because they seem more concerned with gaining followers than they do with providing engaging content. And when i look at their feet, they’re not really anything i want of you. Um, so i would say yes to a point. Maybe try to keep the ratio to fifty percent follow back. And I would also research him a little bit if you’re in Newport Beach, California and they’re in Denver, Colorado, don’t feel the need to follow them back, they’re not your target audience at all. Unless they’re moving in Newport Beach and you don’t know it, which is unlikely at there looking for dentist on Instagram ahead of a move, but they could be so. Contests are okay. Not a lawyer. I would check with one. Well, actually, we are overtime. So this is it. And i gave you my email address. Which is right here as well. Go ahead and feel free to email me if you have any questions. Once again, i’m with Dental Allies. We will take over your social media for you if you want and curate and grow and manage your followers. You can give me a call at the information on the screen and let’s go ahead and it’s and let’s do this first. I actually created an offer for you guys. For attending this webinar. I went ahead and created a coupon code for 20% off ongoing forever for Dental Allies to manage your social media. The coupon is valid until January 31st because i realize that some people have budget concerns because it’s the end of the year. So it has to be part of your 2019 budget there still time. And it’s only good for up to the first ten customers to use the code novemberwebinar. Quick. Let’s get you those. Sorry, i’m running a little over. Let’s get you those files i promised you. Well. The first one. If you want to go ahead and grab it is social media tips for dentist and this will be available in the next day or so for replay on DSOnews.com. So if you’ve missed any of this, you can replay it. If you miss any of the documents, you could go ahead and let me know, and i will get them to you. So I’m going to close the social media tips for dentist now and go to the next foul. Optimal social media image sizes. We got into this a little bit. However, this gives into it a lot more, so i would definitely grab this download. All right, simply, everybody had a chance to get this one. And then one more really? Yes, this is the HIPAA photo release which is very important and something you should be using in your practice if you are going to be using patient photos on social media. Right. So i am going to go ahead and put that.